Intergenerational approaches to family therapy examine generational influences on present-day relational functioning, but most training programs have not broadly examined the influence of historically traumatic events on clients. This workshop will conceptualize the Trans-Atlantic Slave Trade, as a historical trauma, and explore its clinical implications. Examine the residual effects of slavery with self-of-the-therapist themes. Attain interventions for addressing the residual effects of slavery within clinical practice. Explore the influence that the residual effects of slavery have had on descendants of enslaved Africans and those who are not. 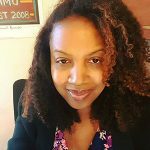 Dr. Erica Wilkins, LMFT, Drexel University: Department of Counseling and Family Therapy, Director of Doctorate of Couple and Family Therapy Program, Huston-Tillotson University: former Director of Counseling and Consultation Center.